Online presence for business means listing in all the search engines. Learn about business listing management and how to increase customers. 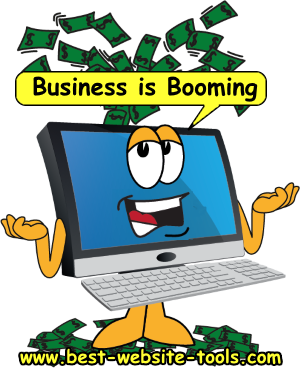 Online presence can make or break your business, litterally! Did you know there are over 70 business listing local search engines? Google, Yelp, Facebook, Twitter, Yahoo, Bing, Amazon Echo, Alexa, etc. etc. all list information, that is if you have submitted it properly. The question is: are you in control of all your business listings? And what happens if you lose control? Your online presence becomes weak or non-existent and you lose customers. How do you expect new customers to finf you if they get the wrong or no information? It's all about your website, right? Nope! Did you know local search engines get two to five times more searches statistically than your website does. While having a website is important having good business listings is even more important. Do all your business listings have accurate and consisent information? What are you doing to control your information? Going to each of your listings and updating them manually. This is time consuming and a source for errors. What if you could automate the process? Saves time and prevents a leaky marketing budget. Controls your business information all in one tool. BWT urges you to take advantage of this tool to improve your online presence. The scan is free but control and management requires that you sign in and create an account. Build customer base the obvious advantage to a strong online presence is growing your customer base. The more ways people can find you, the more often they will purchase something from you. Did you know 43% of all businesses in the U.S.A. have at least one inaccurate or missing addresss line. Location is a primary factor consumers use to select a business online. You can lose business because of this. BWT's listing management service helps you accurately list your business in up to 70 local search engines including Google, Yelp, Facebook, Twitter, Uber, Bing, Maps, and more. Match & Lock technology ties all your listings into one usefull tool. Fill in the form once and all your listings are consistent and accurate. Instead of spending hours of eye-straining computer time finding and filling in 70 different forms do it all in one place. Spen an hour or two now and save hundreds of hours later. Reputation management is important to your business. With BWT's listing management service you can respond to any negative comments quickly. We can alert you to any negative feedback so you can deal with it. Did you know your reputation is one of three primary criteria people use to make a decision to use a product or service? Having positive feedback about your business is important. Especially in the restaurant and fast food industries. BWT's listing management tool allows you to manage feedback or comments from various sources all in one tool. You can lose sleep over worrying about bad feedback. Marketing solution organic internet search is the most widely used tool people use to locate and decide if they want to do business. Search engine results are based on aggregated information, such as number of positive reviews, number of links to your business, and available information like business hours, map and phone number. Getting all the right information in all the right places is important because you cannot control which users use which search engine to locate a business to go with. It could be Google, Yelp, Maps, Yahoo, Bing or a dozen others. By supplying all the search engines with all the right information you are marketing your business in a truly organic fashion. 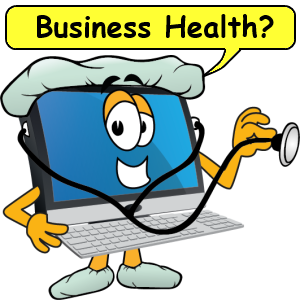 Try the scan tool to see how healthy your online presence is. Sign up for an account to get your business listing into up to 70 local search engines. Then manage your reputation and control your business information all in one place.